Analysis of your website’s performance is one of the most important elements to consider when you’re having a new website built. By choosing Affinity to build your new Magento website you will have access to all the important and relevant data required to analyse the performance of your new eCommerce site. At affinity we make the ease of Google Analytics integration a priority on new Magento sites. This will simplify viewing and analysing your websites data by presenting all the relevant information you need accurately in one place. By being able to easily integrate your new Magento website into Google Analytics you will be able to improve your sites performance. 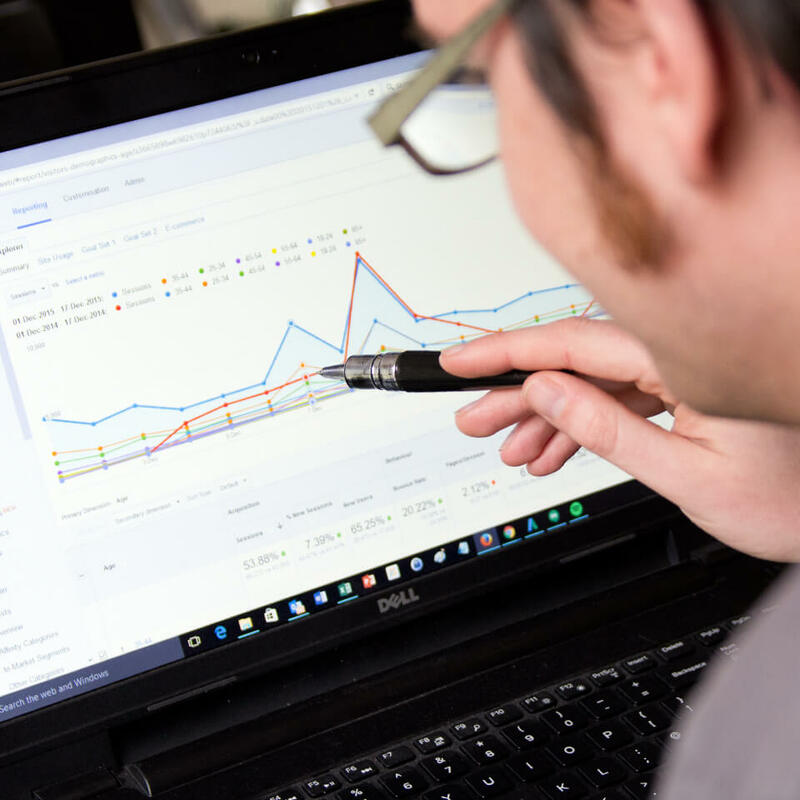 You can use Google Analytics to analyse customer journeys; view traffic sources; analyse customer intent and track business goals; all helping you to understand your market and ultimately boost conversion rates. By analysing your website data and reacting to optimise your site accordingly you will have more control over reaching your desired business goals. Access to data at this level helps you to understand your customer’s behaviour and react to the way they use your site to improve the performance of all the pages on your website. In addition to all the data you will have access to by easily integrating your site with Google Analytics; our developers will build a number of reports into your admin dashboard. Your dashboard will give you access to reports including sales reports; tax reports; low stock reports; and product review reports. As well as the insight you can get from these reports; the Magento eCommerce platform can provide you with detailed reporting on your most popular products; SEO statistics; product reviews; and abandoned shopping carts. All these great reports from the Magento platform allow you to drive your optimisation forward with the goal of improving conversion rates. The iMarketing team at Affinity can provide you with specialist support and provide assistance with understanding website metrics. Our iMarketing team can also help you with online marketing strategies to help you maximise your revenue. We can provide assistance on a range of SEO strategies including help with social media and boosting your website’s domain authority.